The transport cart DJTR 950 ST is SUITABLE for carrying goods and goods such as textiles, children’s and groceries, all beverages, cans and drums, fireplaces and construction materials (sand, cement, etc.) weighing within the recommended limits, musical equipment, furniture, white goods, generators, fireplaces and for any bulk cargo up to 200 kg. 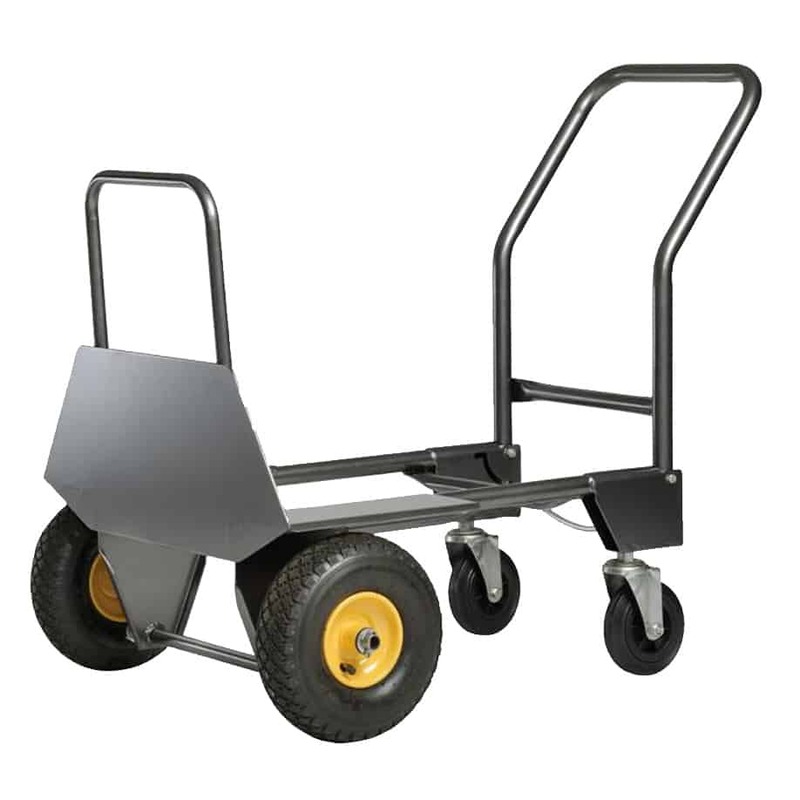 Innovative breaking axles make thetransport cart DJTR 950 ST ideal for use on stairs and uneven surfaces. 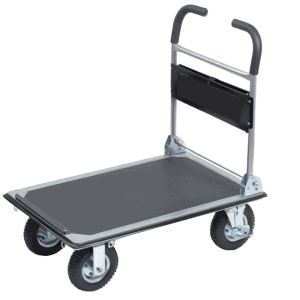 The transport cart DJTR 950 ST is recommended for use by people of all ages. It is not recommended for use by children, pregnant women and people with disabilities. The transport cart can be used for loading and unloading and transporting any cargo up to 200 kg. 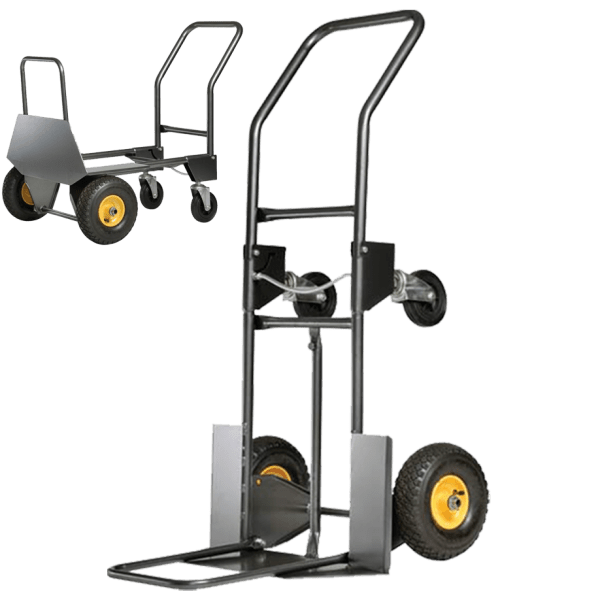 The transport cart DJTR 950 ST has a sturdy steel construction and two-wheel with inflatable tires and two auxiliary wheels. 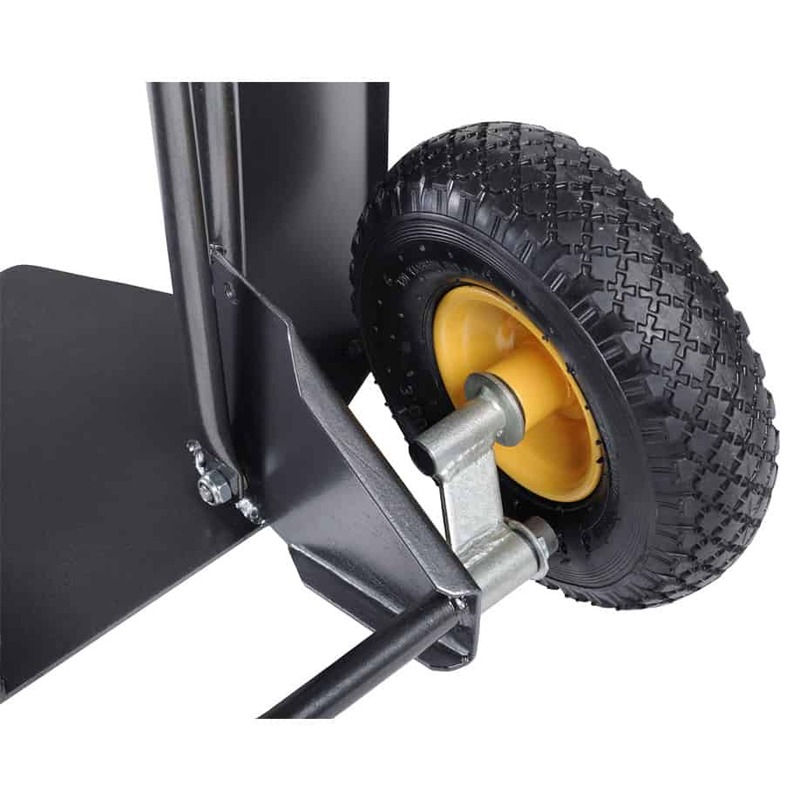 The transport cart DJTR 946 ST is a sturdy steel construction and two-wheel-drive with inflatable tires, a magnet platform, a cart system that includes two auxiliary wheels, two straps and a spring mechanism. 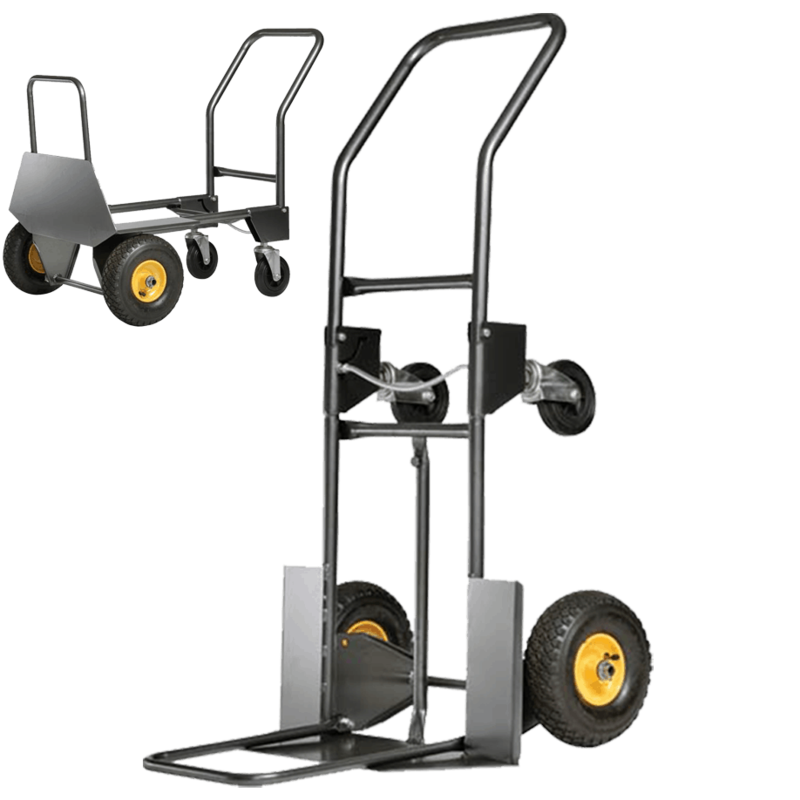 The transport cart DJTR 950 ST is an extremely innovative solution for transporting different loads. Stable and extremely durable. 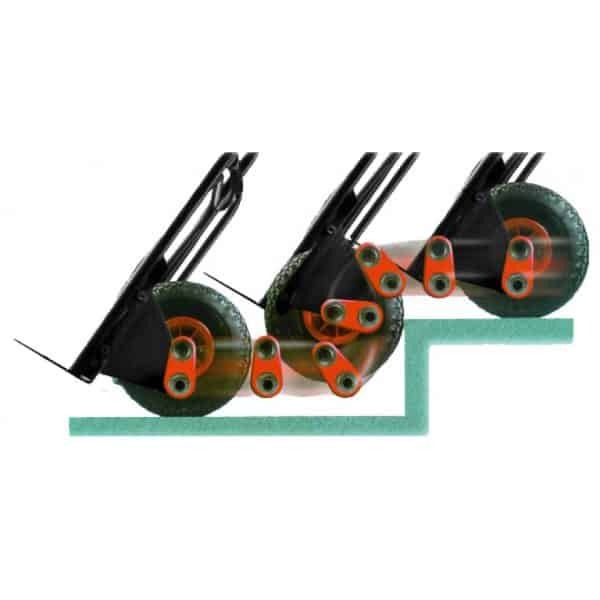 Thanks to the breaking axes, the Haemmerlin patent, the cart easily and without a problem overcomes any unevenness – even the stairs are not an obstacle for the “smart wheels”. 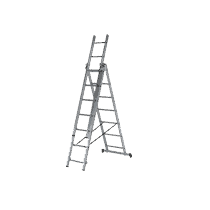 The rounded handle provides easier maneuverability. The two extra straps at the base of the frame protect the load from rubbing in the tires and, together with the additional drop platform, provide more space for bulky loads. In seconds, it turns from a simple into a platform cart for transporting longer and bigger loads. The transport cart DJTR 950 ST should be used for objects weighing up to 200 kg. It is advisable to inflate each direto a maximum of 1.5 bar. 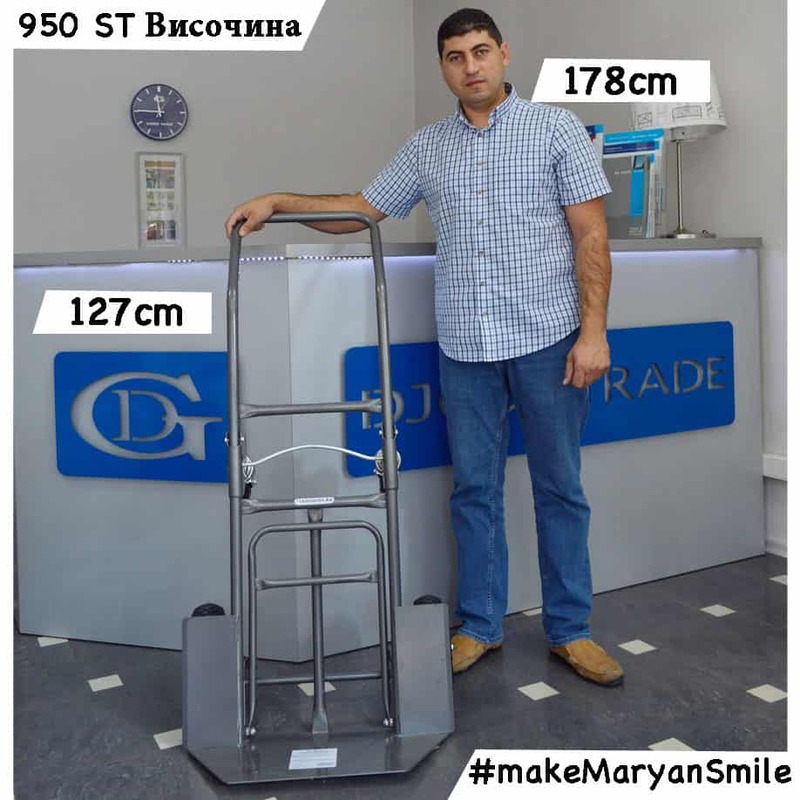 We at DJODI Trade feel that the cart issuitable for loads up to 200 kg. The behavior of the cart depends on the load. Product storage tips – How to stay durable and saved longer? It is best to keep the transport cart DJTR 950 ST in a DRY enclosed room – closet, cellar, garage, storage, workshop, etc. To avoid damage due to corrosion. DJODI Trade is a direct importer of this cart from France for 10 years. 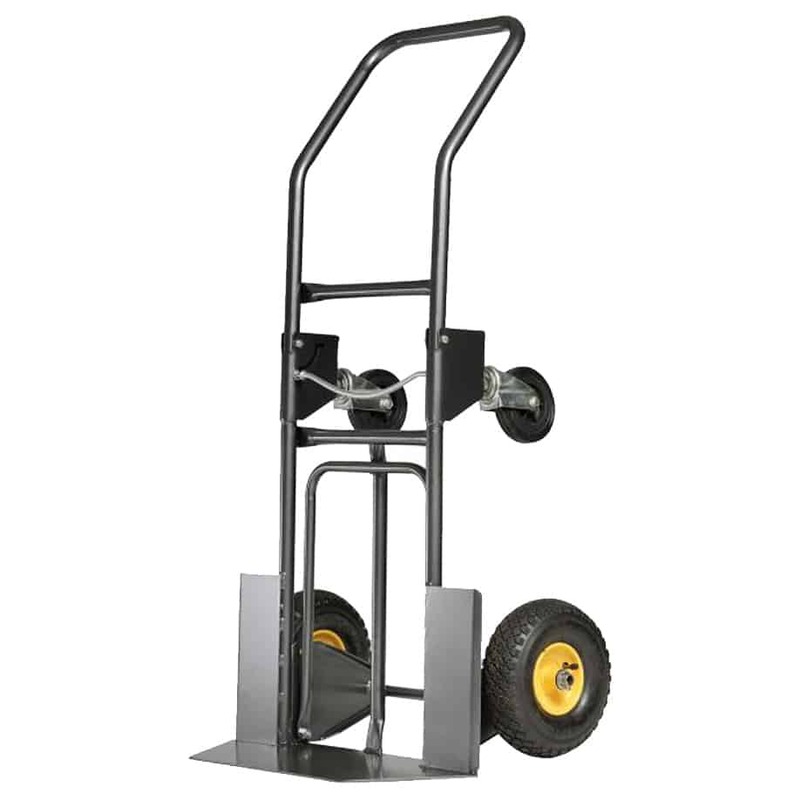 The transport cart DJTR 950 ST is suitable for transporting large items at home, repairing or working in warehouses, construction and shops. The transport cart DJTR 950 ST has a factory warranty on receipt. 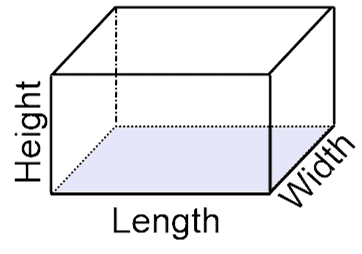 Additional warranty terms are specified when purchasing the product. DJODI Trade offers replacement product wheels that can be purchased additionally. 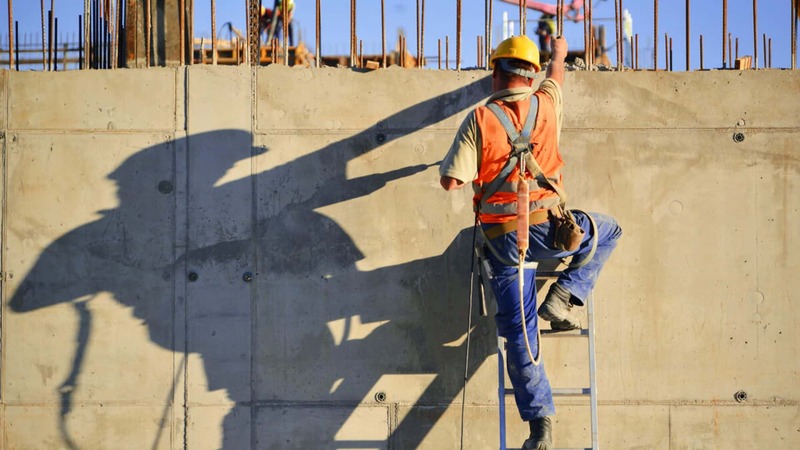 No claims for damage to the product as a result of misconduct are accepted.